Para aceder ao documento em PDF, clique aqui. 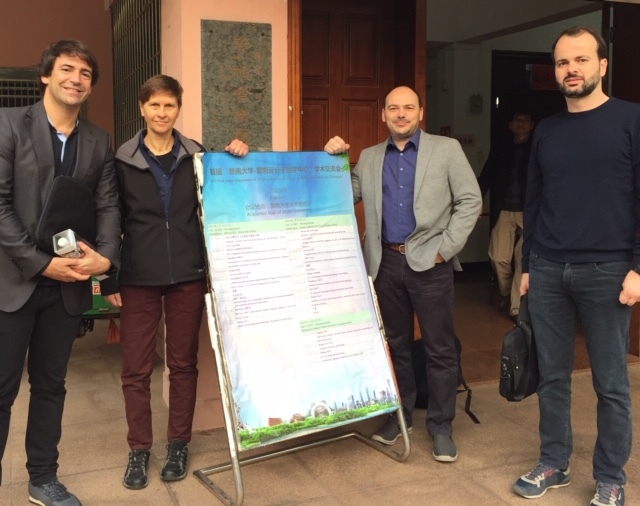 Six Group leaders of the iMM visited the University of Guangzhou’s Jinan (Guangzhou, China), invited by Zhinan Yin, Professor and Researcher of Immunology. Besides attending a Conference, the meeting also served to establish programs of academic cooperation between teams and future projects. 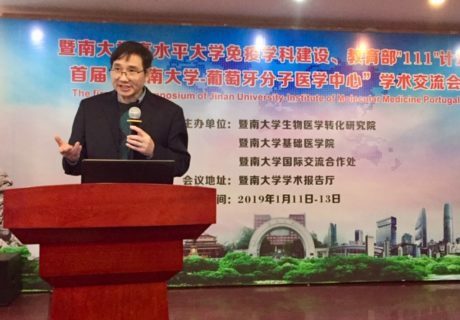 This meeting in the East followed a visit by the Chinese host Zhinan Yin and the rector of the University of Jinan last year. After visiting several European countries searching for partners for academical cooperation they came to the iMM. 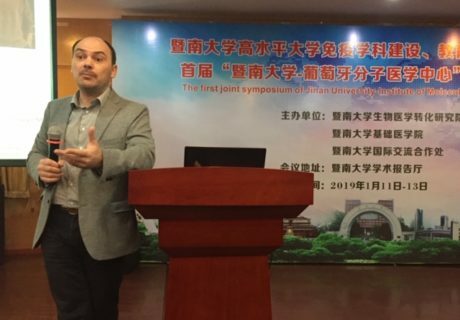 Specialised in Immunology, just like Bruno Silva Santos, Zhinan Yin, he decided to contact him and challenge the Chinese officials to visit the iMM, the professional home of the Portuguese researcher. The challenge was clear, reaching an agreement between institutions in Portugal and China. 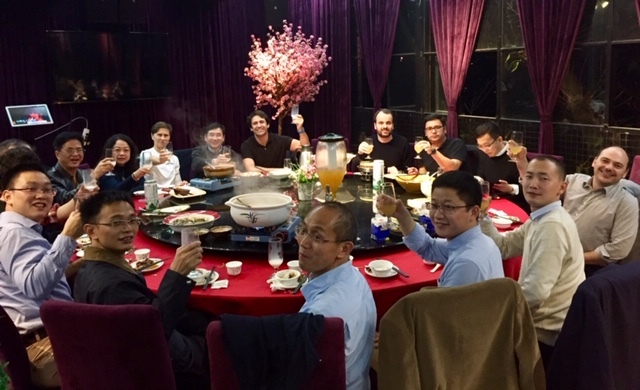 The wish came true after the first visit to the iMM, and the invitation to visit China came immediately afterwards. 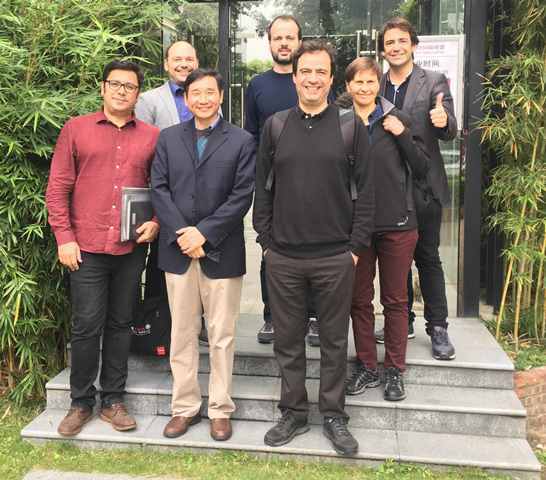 “We really wanted to visit our scientific colleagues from China, we took 6 group leaders from the iMM to the Institute of Biomedicine and we met their elite scientists, represented by 11 group leaders. For two days we listened to each other and we had a brainstorm about how our collaboration could work”. 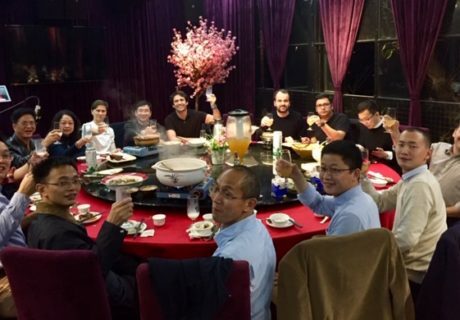 And there is good news for this group of scientists, because the Chinese government wants to invest in Science, trying to internationalise it, contradicting years of closed policies for a more global world. 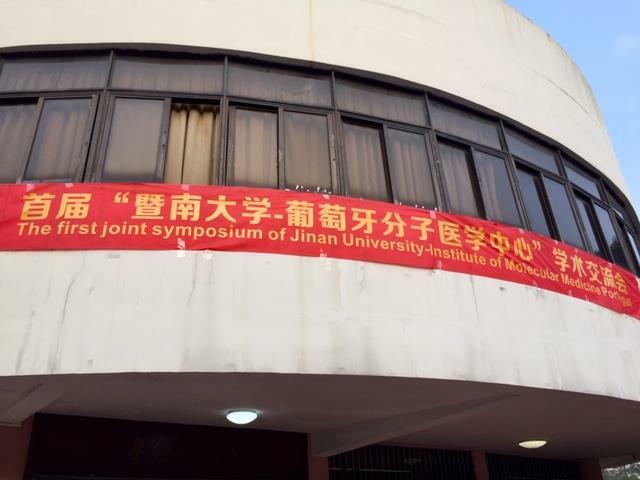 Another advantage is that Guangzhou’s Jinan has always been the Chinese university more open to the Western world. 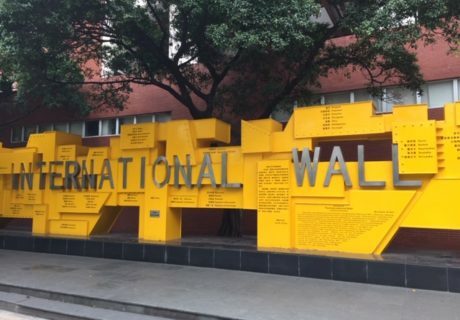 Established 112 years ago, this university was created with the aim of receiving Chinese students coming from foreign countries or from former non-Chinese colonies. With close connections to the government, Guangzhou’s Jinan can ask for funding directly and suggest budgets in accordance with its researches. 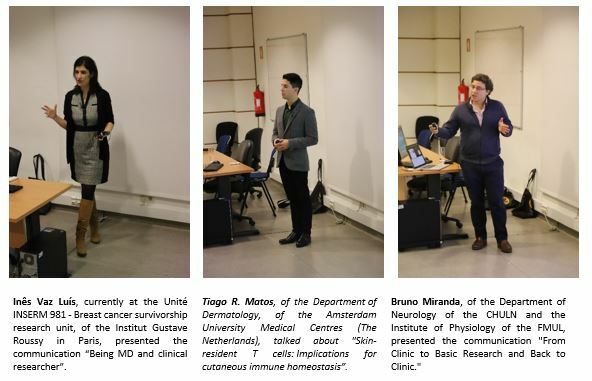 As Chinese institutions are mostly focused on cancer and immunology, the connections to Portugal and the iMM became obvious, excluding, however, areas like neurology which exist only in the iMM. 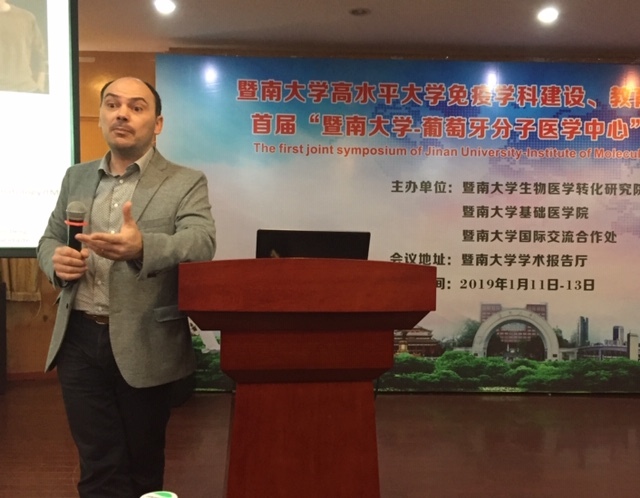 “Of the 32 laboratories in the iMM, I would say that 20 could participate in projects with China”. 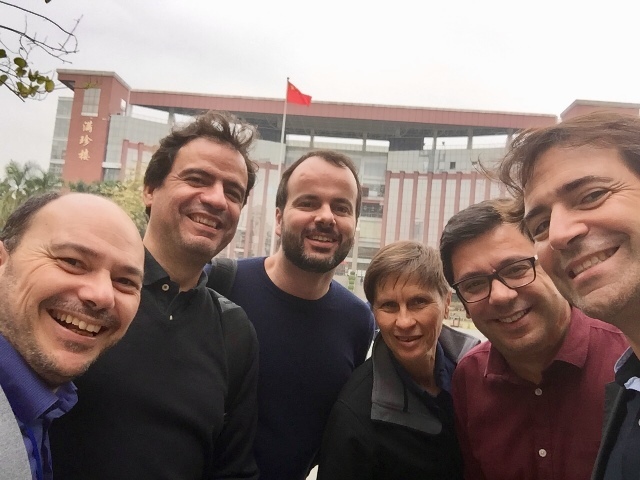 Bruno Silva Santos and Luis Graça, from Immunology; João Barata, from Leukaemia; Carmo Fonseca, from Molecular Biology, together with Sérgio de Almeida and Sérgio Dias also connected to the area of Cancer, were the 6 researchers, also Professors at the FMUL, chosen for the first official meeting. But it is clear that these were only first steps of a far bigger movement. It is inevitable to ask you if Science is a global concept or if it is still somewhat divided between the reality of the West and that of the East. 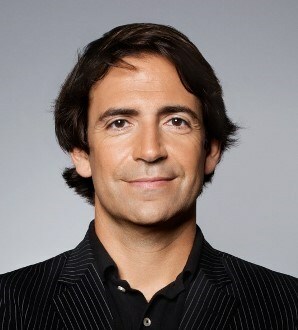 Bruno Silva Santos: We can find differences in small things. 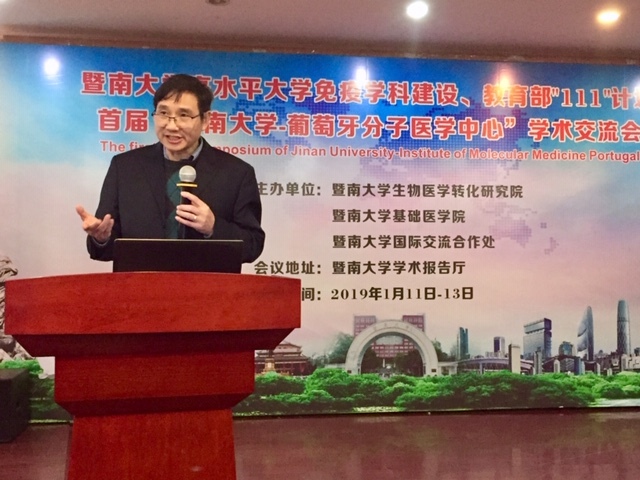 Even in research projects, the Chinese researches have a great interest in Traditional Chinese Medicine, and they try to give a scientific base to what is scientific in Traditional Chinese Medicine. In other words, they test many compounds and come to the conclusion that some don’t have a scientific base, like Homoeopathy, but others do, like Acupuncture and they manage to explain the biological mechanism creating a bridge between Traditional and conventional Medicine. And, as European scientists, does this approach make sense to you? 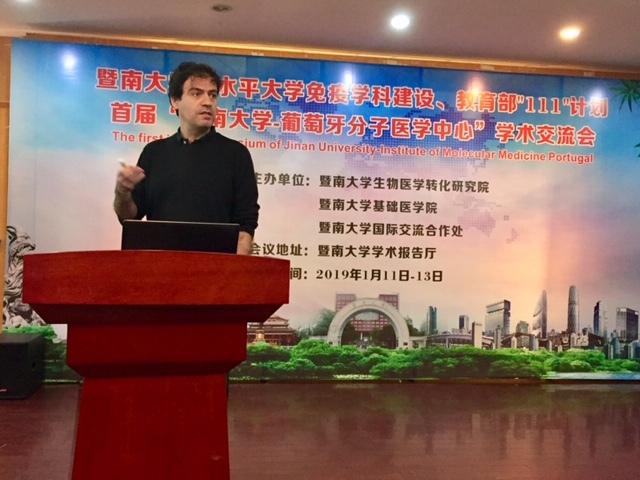 Bruno Silva Santos: Yes, it does, and it is feasible, as long as it is well controlled and done with scientific methods and that is what we found. But there is always another, more “eccentric” element. 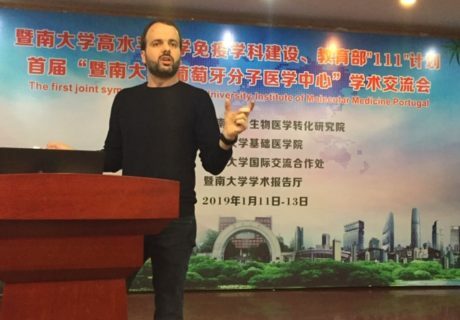 They find it very interesting to compare Eastern and Western diets, because there is the notion that internationalisation led China to follow bad Western eating habits. So, they carried out a study about the effects of Coca-Cola and Pepsi, with and without sugar, with and without caffeine, and they associated it with the development of multiple sclerosis in mice. With this study in mice they came to the conclusion that the sugar in Coca-Cola promotes the development of multiple sclerosis, increasing the severity of the disease. On the other hand, caffeine is a protector. Now, this study goes in the direction of one that had already been presented by Luisa Lopes, researcher in the iMM and Faculty Professor, which showed that caffeine protects against neurodegeneration. 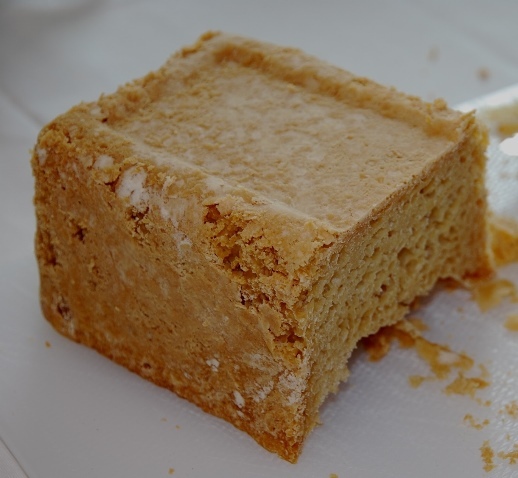 But sugar as a protector against the severity of this autoimmune disease, multiple sclerosis, was something they found interesting in this paradox between East and West. It is interesting because in the West we don’t look that much at the East. Is it that by “absorbing” some characteristics of the East we are also opening a new horizon and perspective of Science itself? 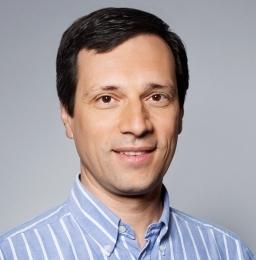 Bruno Silva Santos: I think so, and I think that we will pay more attention to more researches. Now, of course it is necessary to separate “the wheat from the chaff”. But there is no doubt that we are missing out on important things. 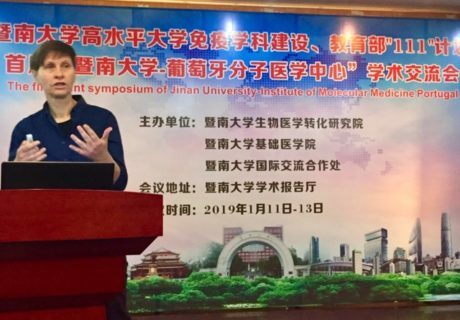 There are things we are testing in the West, in particular here in the iMM, and China can open doors to new therapeutic combinations. I will give you an example, today we are a lot more interested in understanding microbiome, in other words, our gut bacteria. It is important to understand how these bacteria condition many different diseases, not only the most obvious ones, but also some that lead to autism. 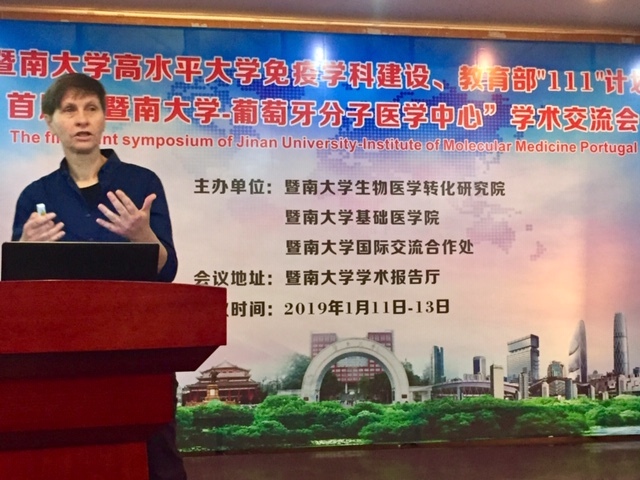 And given the fact that China has a microbiome that is very different from ours, not only geographical but also in terms of food, leads our animal models’ mice have very different bacteria. That allows us to compare results from the disease model in a colony of mice established in the iMM and another established in Guangzhou to see if we have the same effect or not. No doubt that it can have a huge impact on our interpretation of the model, due to the fact that we are using a mouse with a different microbiome as a starting point. These Chinese scientists have already sent us a list with all the colonies of mutant mice and disease models they have, some of the models we don’t even have. So, in the context of our collaboration, we bring mice models from China to Portugal so we can test the disease models we are interested in. And this will allow another thing, in the case of models they are already using there, which is comparing results and checking whether there are any differences. What will be the next step of this encounter between two worlds? 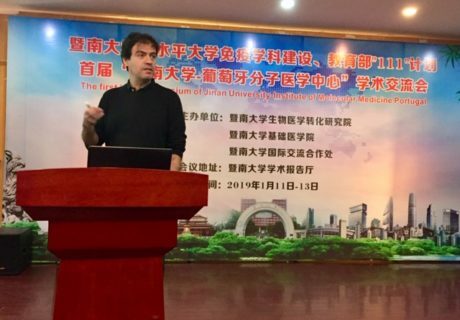 Bruno Silva Santos: Now I will have the responsibility of receiving a delegation from the Chinese institute later this year. The goal is to do a follow up with presentations of the iMM. As I said, it was only 6 of us, but 14 more can enter, in terms of groups. The idea is to gather everyone in the Arrábida Convent, a place to which, thanks to the Orient Foundation, one of the founders of the iMM, we have privileged access. We have already held several retreats there and we will try to hold this meeting there too. But until then we have work to do, using mice, we will exchange views and ideas about individual projects. I can confirm that the next conference will be crucial to define this collaboration more consistently. But there is more, in China they are investing a lot in post-doctoral training, with scholarship, making much bigger investments than Europe. 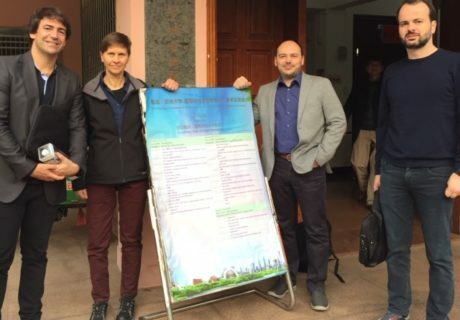 And at this Chinese institute they are very interested in sharing their post-doctoral scientists. 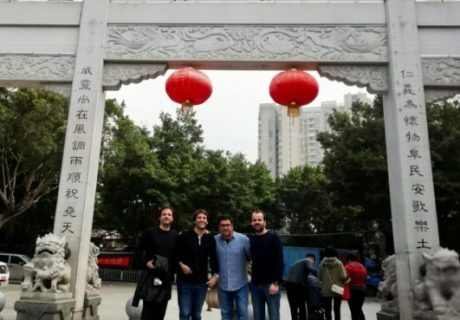 This would allow a real possibility of an exchange, with funding already guaranteed by the Chinese state. It is just necessary to agree on a rationale for the project that benefits both parts. Let’s talk numbers to explain the dimension of things a bit better. 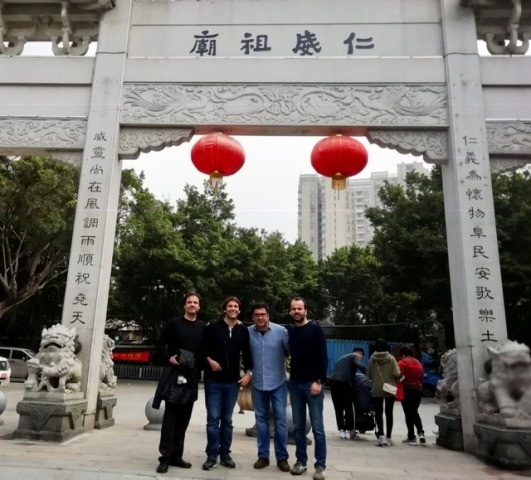 While the congress of the Portuguese Society of Immunology brings together 300 people, the congress in China reaches 3 000 participants. Even so, the Portuguese to Chinese proportion shows the quality of what is done in our country. While Guangzhou has 12 million inhabitants, Portugal doesn’t even reach 11 million. And as for education, there is a lot more to show. 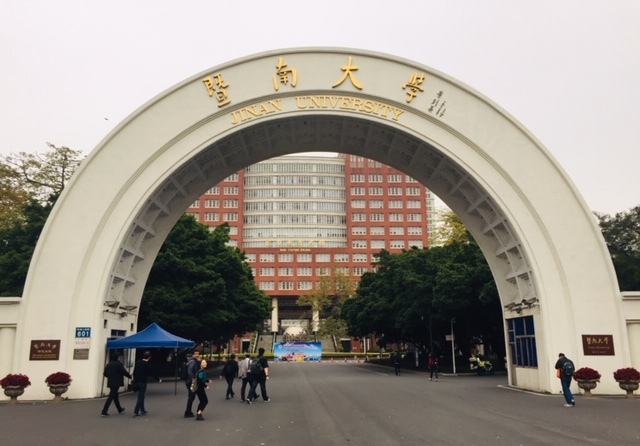 In total, China has approximately 600 universities. 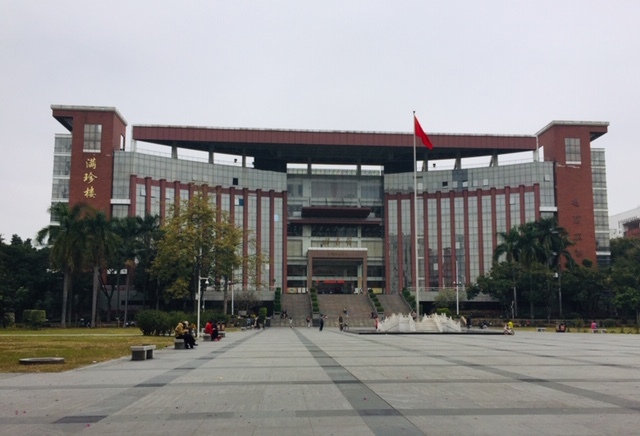 With 216 research institutions, 74 PhD programs, and 189 master’s degree programs, 37 different schools and 19 associated hospitals, the University of Guangzhou’s Jinan is distributed across 5 different campuses, with more than 100 thousand students and 2 200 professors. 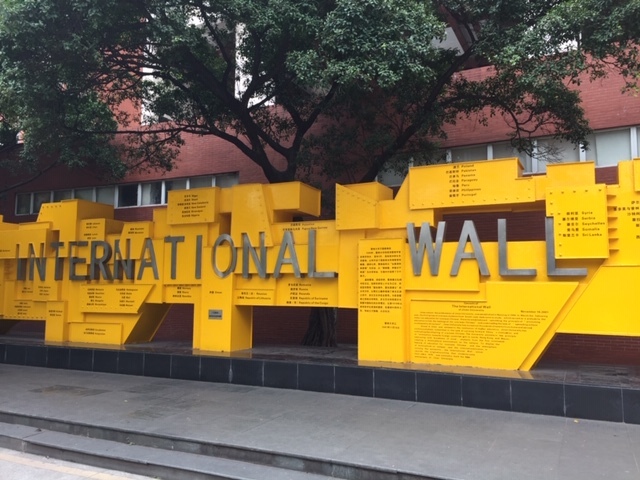 Within this framework, there are also 10 programmes taught in English, one of which is Clinical Medicine, opening the doors to internationalisation. 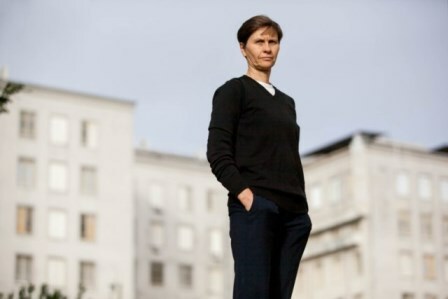 Researcher Zhinan Yin alone receives, in gross figures, 10 times more than what Bruno Silva Santos could have access to in Portugal. 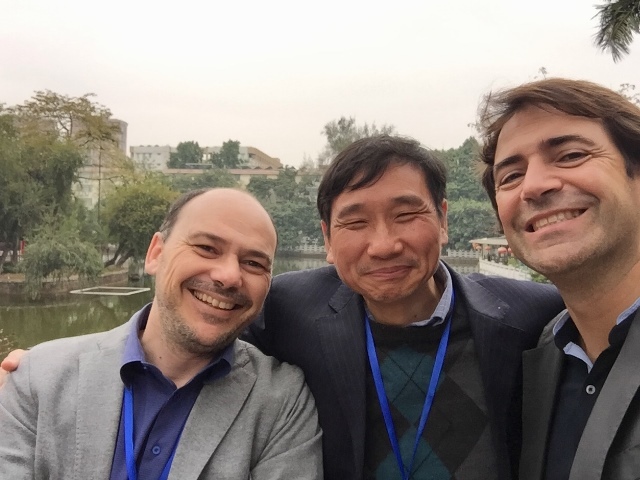 And while China is the second world power, Portugal doesn’t compete for that ranking, but as far as for the Portuguese researcher and Professor is concerned, he is certainly ranked as one of the most internationally recognized. 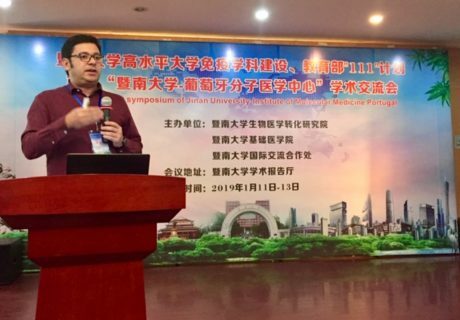 It was not in vain that, at the closing of the 1st Conference in Guangzhou, Zhinan Yin said that this elite Portuguese team would serve as an inspiration to raise the level of Chinese Science. The 1st Conference in Guangzhou marks the beginning of new bridges between worlds, but now it is important to assess how European and Chinese investments are mobilized in order to put will into practice. In the name of Science. In the name of a single world. Que tipos de ensaios clínicos existem? Quais a vantagens e desvantagens em participar? Por ser uma matéria que deixa ainda algumas dúvidas, poderá consultar aqui a resposta a estas questões. Todas as informação aprovadas pela CEIC. O que é um ensaio clínico? Que tipos de ensaios clínicos existem? Quais a vantagens e desvantagens em participar? Quem autoriza e supervisiona? Por ser uma matéria que deixa ainda algumas dúvidas, poderá consultar aqui a resposta a estas questões. Todas as informação aprovadas pela CEIC. Find the Researcher you are looking is an initiative promoted by GAPIC that aims to enable and promote the contact between researchers and students and, this way, create an extendable network to all of CAML and strengthening ties among the scientific community. A list of researchers that have registered in the platform Find the Researcher you are looking for is already available and accessible to all interested parties, namely the students of FMUL that intend to develop and participate in scientific work. GAPIC invites all researchers of FMUL, IMM an CHLN to participate in this network by filling in this Form. The European Commission has announced that the European Innovation Council will support an innovative Portuguese project in the area of the fight against highly dangerous viruses with 4.2 million euros. 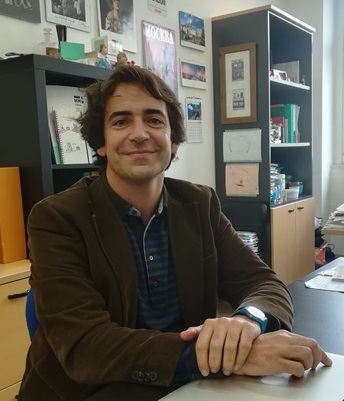 The NOVIRUSES2BRAIN project is led by Researcher and iMM/FMUL teacher Miguel Castanho, in collaboration with a Spanish university (Pompeu Fabra University, Barcelona) a Brazilian university (Federal University of Rio de Janeiro) and also a German company (Synovo Gmbh, Tübingen). 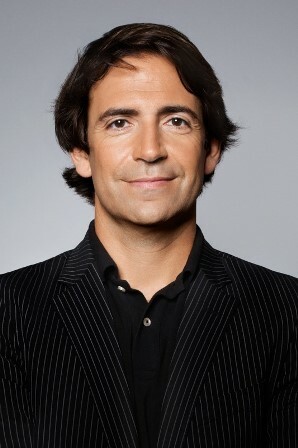 Miguel Castanho and his Laboratory will receive a total of 2.1 million euros. Viruses that infect the brain and other parts of the central nervous system are a major worldwide threat. The latest large-scale threat in this area was the outbreak of the Zika virus in South America which, like the Dengue virus or the Chikungunya virus, is transmitted mainly by mosquitoes of the genus Aedes. When a pregnant woman is infected, the virus is able to cross the placental barrier between mother and fetus and then the protective blood-brain barrier of the central nervous system of the fetus, causing microcephaly and other neurological disorders in newborns. Recent news also point to new cases of Zika in Africa; according to a Reuters report published in the Público newspaper, 72 babies were born with microcephaly in Angola between February 2017 and May 2018. It is feared that the Zika virus strain responsible for more than 3,700 cases of birth defects in Brazil since 2015 may give rise to a new strain, predominant in Angola. Despite the high likelihood of co-infections with Aedes-born viruses, such as the Zika, Dengue and Chikungunya viruses, because several viral species coexist in the same vector, the classical drug development strategies ignore that reality. In addition, additional co-infections with HIV and measles virus are also possible. There is a pressing need for a drug that is capable of neutralising a very broad spectrum of viral species simultaneously. What if we made cancer an ally so we could overcome it? Confusing at first, one quickly perceives what Professor and Scientist Carmo Fonseca was willing to discover. 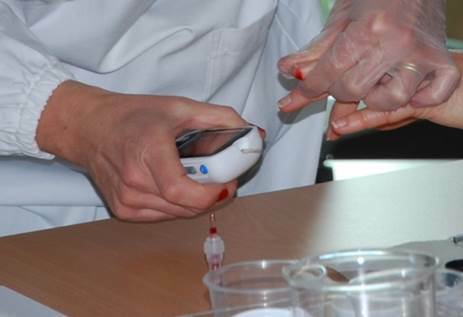 Creating breast cancer in the laboratory and watching its birth, so you can study the early signs of the disease. How do we induce external factors such as excessive sun exposure, smoking or alcohol consumption? Carmo Fonseca: It is induced by creating lesions in the DNA. All these agents, which are carcinogenic, what they do is damage the DNA. We’re going to use chemical means to produce the same effect. How do we measure the right proportion of these chemicals to know if we are inducing the disease? Carmo Fonseca: It is measured by the number of lesions. It’s like they’re wounds, like we’re going through a machine gun and our DNA is wounded every time it hits you. Then what happens is that we have a system that repairs, it’s as if there are “surgeons” inside our cells that will repair the wounds and that system is called DNA repair and it happens inside the cell. The BRCA gene, which is mutated in these women, is one of the major “surgeons” in this “repair service,” sometimes those who have a defective BRCA repair the damage less, becoming more exposed and vulnerable. What is the big advantage of this research, predicting how the disease appears or studying more treatment options? Carmo Fonseca: As we watch the first phases, I am hopeful that we will learn more about how the disease appears and therefore help in the prevention and early diagnosis and not so much in the treatment, that won’t be our focus. But because we talk about ageing cells themselves and the time the whole process takes, there are also timings to be respected. 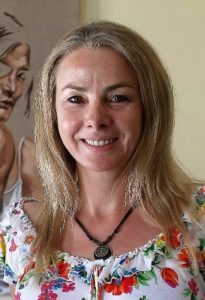 Carmo Fonseca: From a scientific perspective, it is very interesting for me because I have been talking to researchers who are dedicated to ageing and I have been talking to them about how I can accelerate the ageing process. 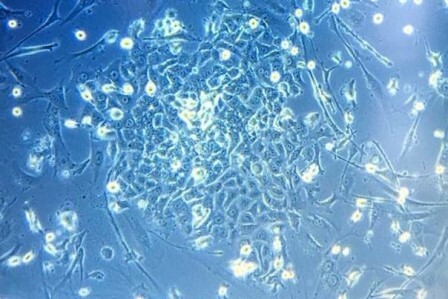 Therefore, all the molecules that have been associated with ageing, I will use them to test the hypothesis that I can accelerate ageing of these laboratory cells. This will be an excellent proof of concept for scientists who want to reverse ageing. We will prove that those molecules are really important and if they are effective, that is going to be another very interesting aspect of the project. 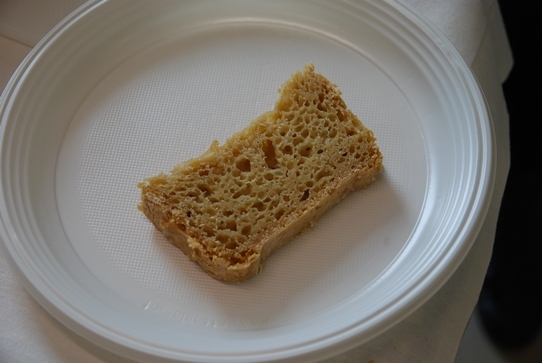 Thus, returning to square one, forcing us to do the procedure differently, optimising the ingredients. But because experience is an ally of perseverance, already so entrenched in Carmo Fonseca, in a bad result there are also important lessons to take, “it is still possible to see if the ability to repair has been affected in these cells, because we are in the “DNA shots” phase, with the cells of women carrying the mutation and we will compare how quickly the wounds are repaired between normal cells with the cells of these women. The experiment is already underway and with 200,000 euros of funding from the Foundation for Science and Technology (FCT). The team comprises a medical student, a master’s degree student, and will soon have a postdoctoral degree student as well. As for the drivers of the challenge, the women of the EVITA Association speak regularly with Carmo Fonseca and visit her to take a look at their cells’ life and will certainly be the first to want to receive updates, wishing it will always be good news. Quando se apresentou disse-me que tem a alcunha de ser a “pilha Duracell” – minutos depois não é difícil perceber o que quer dizer com esse auto adjetivo dito num tom bem-disposto. Com dezenas de atividades em paralelo, tem uma força motriz que promete revolucionar hábitos e criar conhecimento para quem sofre de doenças cardíacas. Chegou há pouco tempo à Faculdade de Medicina e já está a implementar um Mestrado que promete ser o primeiro de muitas edições. Pioneiro na Europa, garante dar meios técnicos adequados para reabilitar e prevenir os problemas cardíacos. 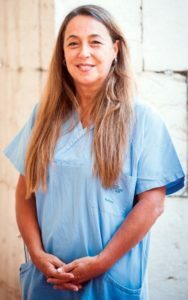 Ana Abreu, médica Cardiologista e Professora da Faculdade será a coordenadora do Mestrado de Reabilitação Cardiovascular. “Nós explorámos o que existia nas Universidades da Europa e não vimos nada assim. Encontrámos na Irlanda um curso que se foca na prevenção cardiovascular, mas percebemos que faltava a componente organizada, estruturada da reabilitação, que entra em linha de conta com o treino de exercício”. O Mestrado foi criado a pensar em todos aqueles que estejam interessados em aprender ou melhorar estratégias e técnicas de reabilitação, mas também para quem se foca em áreas específicas de interesse da prevenção, como o exercício, a nutrição, psicologia, comunicação com o doente, quer na vertente clínica assistencial, quer de investigação. Permite ainda a inscrição de alunos internacionais que terão acesso a aulas em inglês e com uso a meios digitais, como forma de interação disciplinar. A pertinência desta nova formação é clara: em Portugal continuam a ser as doenças cardiovasculares a primeira causa de morte, ou de má qualidade de vida. Situação preocupante e urgente, a questão é que há muito ainda por construir para evitar esta realidade, principalmente se tivermos em conta que só uma curta franja dos doentes cardíacos é que faz reabilitação após sofrer a doença. No revés da medalha que ilustra o mau cenário, vem a boa notícia que a prevenção e reabilitação estão muito ligadas às novas tecnologias e essas já estão em franco avanço e com programas muito desenvolvidos e em curso, como nos explica Ana Abreu. “Hoje em dia devemos encarar a reabilitação e prevenção com alguma modernidade, isto porque as áreas de comunicação também mudaram. Comunicar com o doente é algo que não tem sido ideal, até porque os médicos não têm muito tempo de qualidade, sempre a correr, com insatisfações até na própria prática clínica. Existem problemas que não são da culpa do doente, mas que impedem os médicos de estarem satisfeitos, sofrendo de burn out muitas vezes. Com esta formação queremos passar mensagens claras: ficar bem com o doente, educar o doente e educar outros profissionais de saúde que não médicos. Educar no sentido de saber informar os doentes, saber para onde os devem encaminhar, saber quais são as estruturas que possam cobrir as necessidades do doente. Precisamos de criar programas de prevenção e de reabilitação. Como é que podemos desenvolver centros de reabilitação e o que é que já está a ser feito nesta área? E até a nível europeu, saber o que foi feito já. Para além disto toda a área científica ligada aos componentes da área da reabilitação e que são a área da nutrição, do exercício, a parte psicológica e psiquiátrica. Depois temos também a Telemedicina que hoje faz parte integrante da prevenção e reabilitação, onde se segue o doente através de sistemas digitais e à distância, com acompanhamento personalizado”. A acompanhá-la nesta nova formação estão experientes docentes, o Prof. Fausto Pinto (Cardiologia), Prof. Vaz Carneiro (Medicina Preventiva) Profª. Helena Santa Clara (Motricidade Humana), Profª Catarina Sousa Guerreira e Profª Joana Sousa (Nutrição), Profª Sílvia Ouakinin (Psicologia), Profª Manuela Fiuza (Cardiologia), Prof. Rui Ribeiro (Bioestatística), Prof. Miguel Mendes (Prof. convidado pelo seu prestígio na área da reabilitação cardíaca). O período de aulas decorrerá às 6ªs à tarde e sábados de manhã, com exceção de algumas datas a serem brevemente anunciadas. 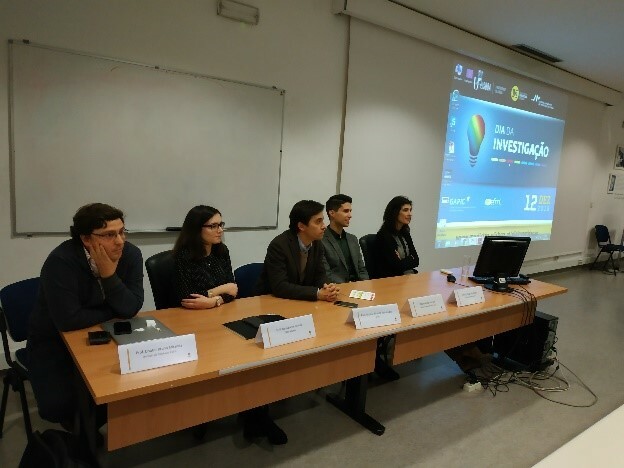 A conclusão da formação implica uma tese de dissertação, submetida a júri, ou o desenvolvimento de um projeto/relatório, realizado em centro considerado habilitado para reabilitação cardíaca, também submetido a júri, ambos com classificação e aprovação final, conduzindo ao Grau de Mestre em Reabilitação Cardíaca. Com a particularidade de ter tão diferentes unidades curriculares, permite-se ainda a inscrição em apenas uma ou mais dessas unidades, ou ainda em seminários específicos de um tema, sem necessidade de fazer todo o módulo. A assistência a módulos ou seminários implica a entrega de certificado de presença. “Imagine uma recém licenciada numa das áreas que nós aceitamos que vai começar agora a trabalhar e não tem tempo de iniciar já um mestrado. Pode-se inscrever só no módulo de exercício, recebendo da Faculdade o conhecimento específico e um comprovativo de presença”. Destinado a todos os licenciados em Medicina, Ciências do Desporto (Fisiologia do Exercício), Enfermagem, Psicologia ou Ciências e Tecnologia de Saúde (Nutrição, Fisioterapia, Técnicos de cardiopneumologia), o Mestrado abrange ainda outras áreas das Ciências da Saúde (Serviço Social, Engenharia biomédica, entre outros). Ana Abreu não disfarça alguma expetativa neste arranque, mas olha para o futuro com um olhar bastante positivo. “Claro que o primeiro Mestrado terá um peso muito grande, mas aquilo que é o nosso alvo é dar continuidade, isto é um projeto a prazo”. Desenhado em setembro do ano passado, este projeto demorou até nascer, “esperávamos uma resposta em abril e a resposta oficial só veio em julho, agora imagine como fizemos tudo em contrarrelógio, mas fez-se tudo”. Prever o sucesso deste novo Mestrado é previsível se o associarmos à sua coordenadora. Enquanto Cardiologista fez sempre a sua carreira muito próxima à área da reabilitação cardiovascular, também associada à imagem (ecocardiografia e cardiologia nuclear). Foi precisamente na cardiologia nuclear que colocou todo o seu foco inicial. A tese de doutoramento já antevia a importância da relação entre o exercício e a imagem: ecocardiografia e cardiologia nuclear. Esta é uma área de intersecção e quando as pessoas pensam que as áreas não se tocam, estão erradas. Noutros países já se vai despertando para esta reunião de áreas. Hoje em dia não podemos ter só a consulta convencional, em que aconselhamos a não fumar, não beber demasiado, ou não comer gorduras. Já não é assim que nos podemos posicionar, mas precisamos da ajuda de equipas mais novas e muito especializadas, não só de médicos, para comunicar as novas mensagens. Os médicos sozinhos não conseguem mudar tudo, é impossível. Para se potenciar esta nova abordagem da reabilitação e prevenção, é preciso uma vasta equipa de pessoas de diversas áreas. 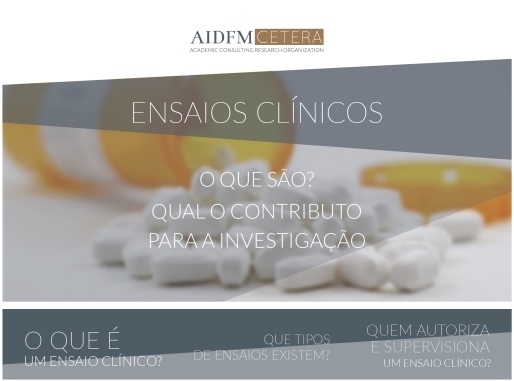 Deveríamos ter centros com um médico e com uma ou mais equipas”. Outro dado cada vez mais importante: “a reabilitação cardíaca tem cada vez mais de ser feita em casa, mantendo a ligação às equipas, através de telefones e da internet: é a tele-monitorização. Por uma questão financeira e de recursos humanos não podemos suportar todos os doentes nos hospitais e os próprios doentes também não querem passar os dias em hospitais”. Recente aquisição em Santa Maria e também no Pulido Valente, é também Professora na Faculdade de Medicina. Depois de 31 anos no Hospital de Santa Marta, onde montou o Programa de Reabilitação Cardíaca em 2004, veio por aposta indiscutível de Fausto J. Pinto e com a missão de criar esta formação especializada em prevenção e reabilitação cardíaca, em Santa Maria e na Faculdade. O ditado que o bom filho à sua casa retorna aplica-se bem, já que estudou na Faculdade de Medicina, onde também cumpriu os dois anos de internato geral. Na altura do internato chegou a trabalhar nos EUA onde se especializou em Cardiologia Nuclear. Sempre pensou que, pelo rumo natural da vida, o seu caminho seguia para Santa Maria, mas foi desafiada a conhecer outros mundos, o Hospital de Santa Marta. “Na altura a cardiologia em Santa Maria estava mais compartimentada, tendo recentemente o Prof. Fausto Pinto reunido esta área clínica. 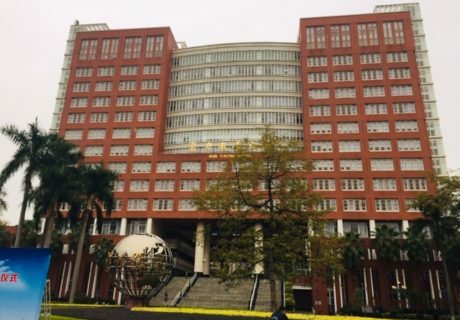 Santa Marta não era um hospital universitário e o único foco era tratar doentes. Por convite do Prof Rafael Ferreira, foi convidada para o Hospital Doutor Fernando Fonseca em regime de instalação. Ficou durante um ano e meio. “Tínhamos doentes que não acabavam, era uma população muito doente. Fazia mais urgências como médica internista que como cardiologista, mas era preciso”. Foi no regresso a Santa Marta e com a bagagem adquirida de outras vivências que percebeu da necessidade de apostar numa área de reabilitação cardíaca e em 2004 “o programa ficou perfeitamente montado, o grupo de trabalho era muito engraçado e unido, médicos, fisiatras, enfermeiros, psicólogos, nutricionistas, todos se davam bem”. Atualmente, e de regresso a casa, à “sua Faculdade” está prestes a arrancar numa jornada de aprendizagem multidisciplinar. “Eu gosto de trabalhar, de projetos, de desafios, e de sinergias. Gosto de trabalhar com os outros e ouvir, pois só assim as ideias se multiplicam. Achei por isso que este era o local ideal (Faculdade), com o Prof. Fausto a apoiar estes projetos”. O Mestrado pretende pôr em prática a vertente assistencial que Ana Abreu sempre tanto gostou, somando a isso a formação e a investigação já conhecida da instituição. Tudo parece estar reunido para ser um sucesso. Ana Abreu olha sempre para o futuro com a vontade constante de projetar, desenvolver e melhorar. Para já fica a promessa de uma pioneira formação que pode consultar com mais detalhe, aqui. 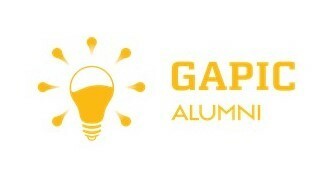 In the beginning of a new school year, we would like to share the GAPIC Alumni Facebook page. 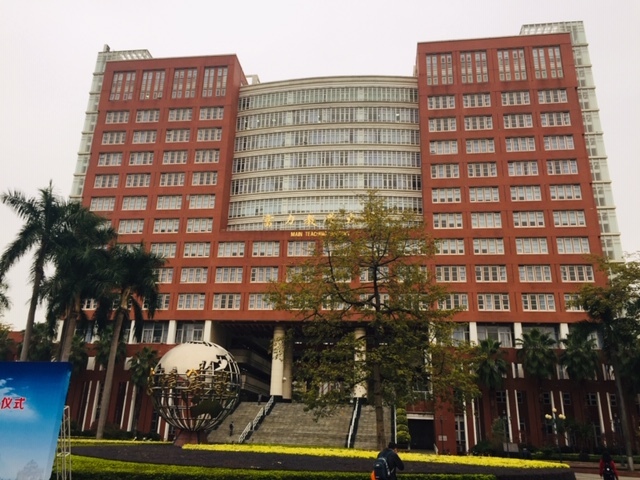 Created on July 11th to mark the 29th Anniversary of GAPIC and entertained by GAPIC Alumni, this page is a meeting place for Students, Alumni, Tutors, Researchers and Professors. A place to share experiences, news and updates on science. Together we are making the GAPIC community stronger and more cohesive for scientific research.